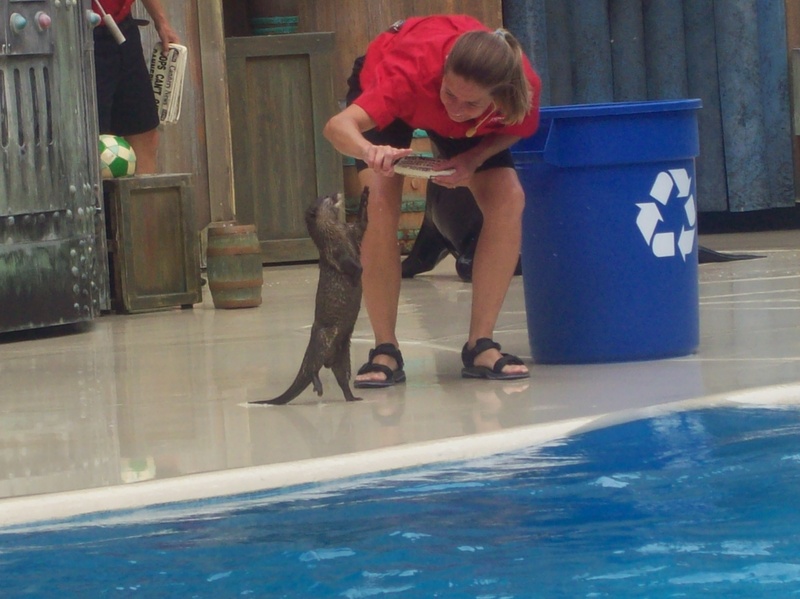 Any one who works with animals interested in doing an interview? 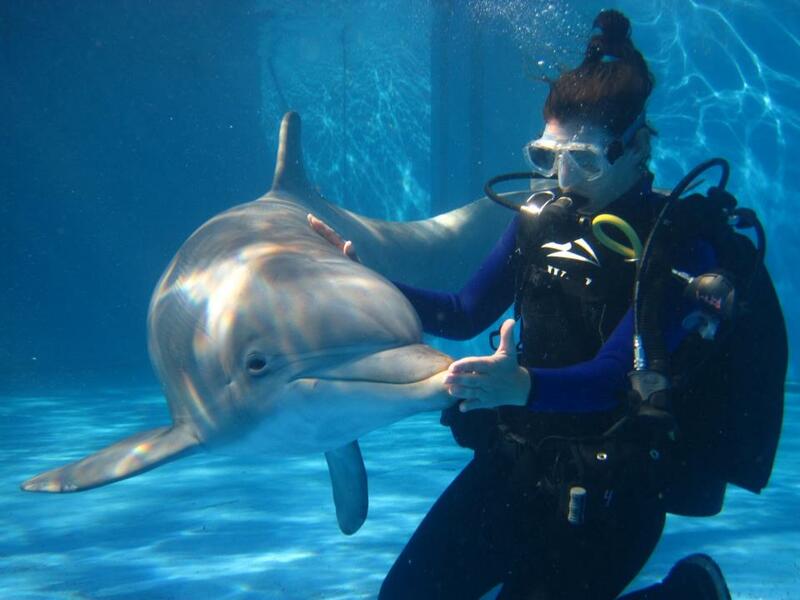 (photo of trainer scuba diving with a dolphin at SeaWorld San Diego is by SeaWorld). Keep in mind that all questions that I’ll ask will all focus on your field and your take on the animals as you know them and how you are inspiring others to love and care about animals. I will greatly take interview more than one person and all I just is need out of this interview is just being yourself and opening up about the profession while inspiring others at the same time. 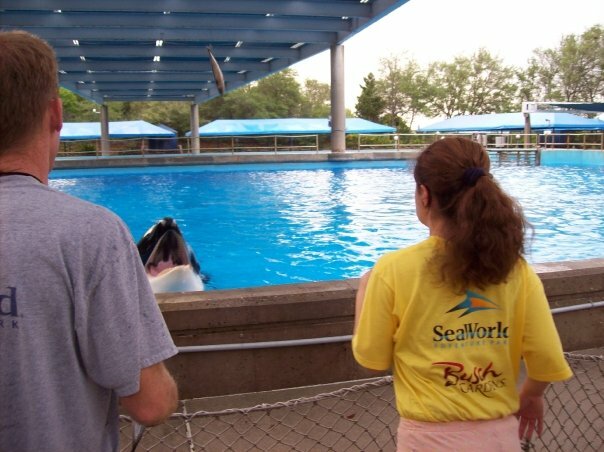 Trua is a six-year-old male killer whale, or orca who resides at SeaWorld in Orlando. Hello there everyone, sorry I was not able to blog for a while. This was because I have been busy with school and homework and it has been slowing me down lately. 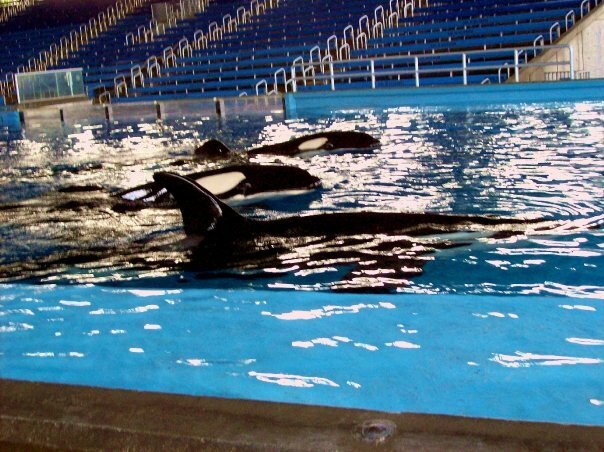 However, since I know a lot of people who regularly visit my blog are big time orca lovers like myself, I have come up with some FAQ’s that I have been asked by a few people regarding killer whales. What’s a killer whale’s social life life? 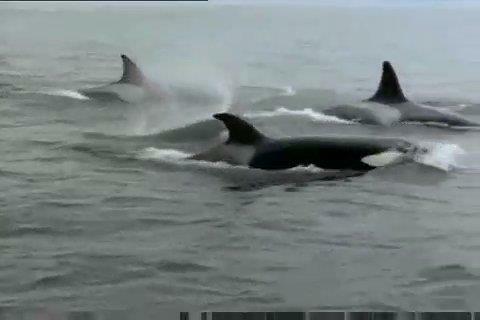 Orcas live in groups known as “Pods” which can consist of anywhere from 2 or more animals. Many of these pods are matrilineal and are led by an older female known as a matriarch. The matriarch, her siblings, their offspring, her offspring, grandchildren, and great-grandchildren all belong to the same pod. 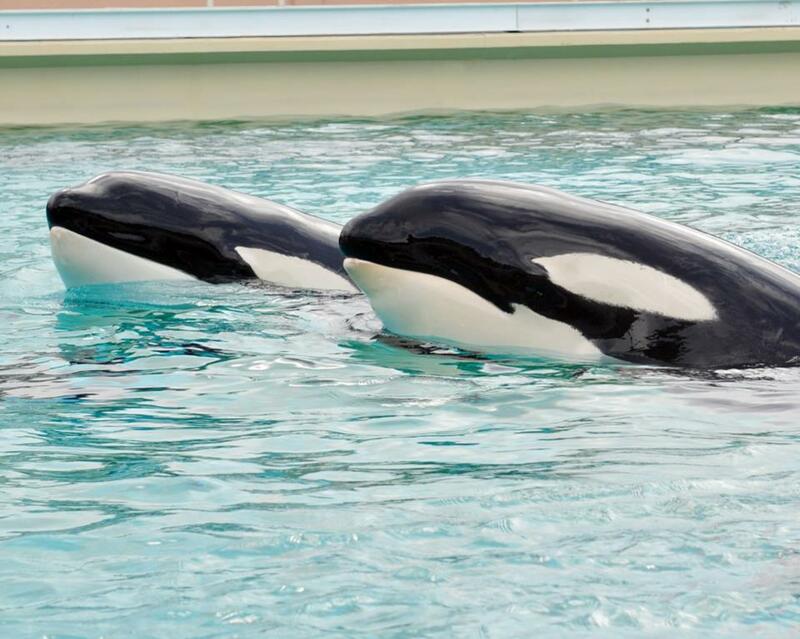 Because these matrilineal pods are stable for a long period of time, all pod members may contribute to calf rearing and ensuring that calves survive their first few years of life and learn all the ways of the pod. While this is very common among resident orcas, this is not always true for transients in which pods may involve females leaving their birth pods to form their own pods and forming short term association with non-related breeding males. 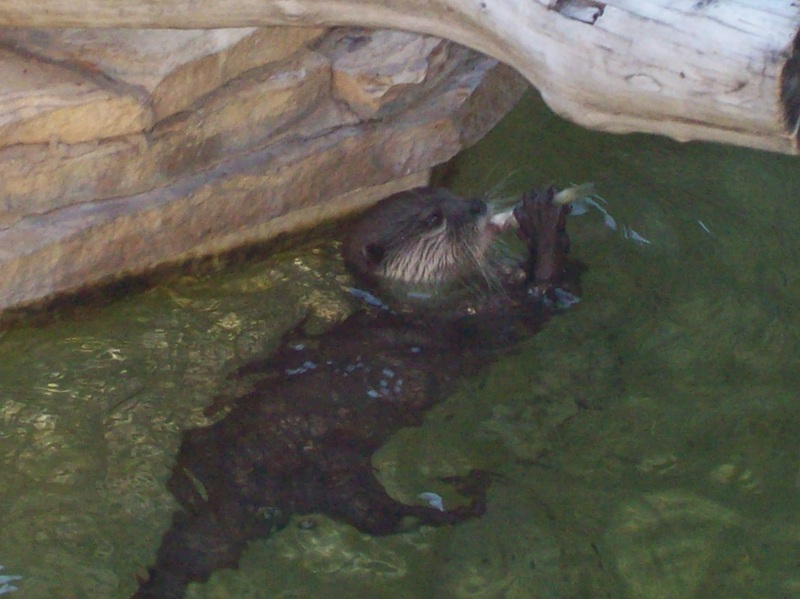 Meanwhile, their brothers are known to travel either alone or form short-term associations with other males. Overall in most pods, both male and female offspring will stay with their birth pods for life. 2. How to killer whales hunt their prey? While it’s well known that resident and offshore killer whales feed on fish, squid, sharks, and rays and transients feed on sea birds and marine mammals, every orca population has it’s own prey and hunting techniques regarding how to catch it. For example, killer whales in Norway have been known to consolidate and maintain tight balls of herring by rounding huge schools into a large ball before taking turns slicing through it. Meanwhile, orca populations in New Zealand have been known to catch stingrays by first sinking themselves to the bottom by blowing out air trough their blowholes before picking up the rays by their stingers (which leaves them immobilized and thus not being able to sting the orcas). In Argentina, transient orcas have been known to catch seals and sea lions by beaching themselves on the beach before catching and dragging them into the water. However, transient and offshore orca populations off the coast of California have been known to use cooperative hunting in order to harass large animals like sharks and baleen whales. 3. Why do some killer whales have worn down teeth? 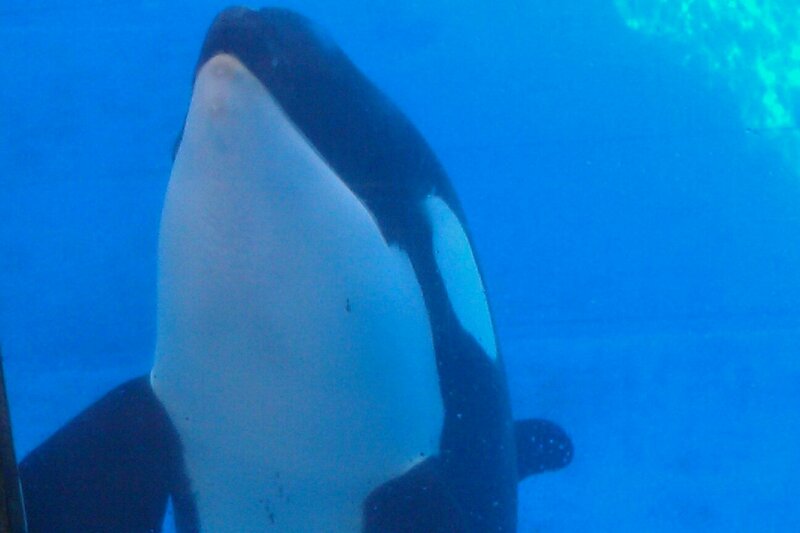 The reason why some killer whales have worn down teeth is the result of the long term effects on their diet. For example, offshore orcas off the coast of California are known to have worn down teeth as a result of feeding on sharks and feeding on certain species of fish. As a result, the teeth will start to naturally wear down over time due to the rough skins of sharks and other fish species they may feed on. However, some transient and resident orca populations in the North Atlantic have been known to posses worn-down teeth too, just like their some of their captive counter parts. 4. 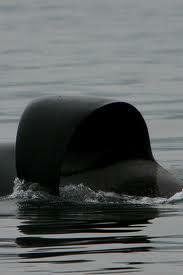 Is it true that all killer whale pods have their own calls? Yes they do. In fact, these calls may range from 0.5 to 25 kHz with the peak energy of 1 to 6 kHz and orca experts believe that various calls function when it comes to group recognition and coordination behavior. However, individual pod members share the same or similar dialects as the other members of their pods. While researchers believe that that is some type of structure to the calls, the dialects are not the same as languages. While dialects vary from one population to another, each pod has their own dialect “accent” that allows researchers to determine which pod may be in the area by listening to clips of their vocalizations. Whales learn the calls and dialects of their pods from their mothers during their first year of life. Yet, while researchers have been studying killer whales for almost four decades, little is known about how their communication system works. 5. How long can a killer whale live? While there are reports of a very few orcas living into their eighties, the average lifespan is no more than 60 years. The average lifespan for males is around 30 to 35 years while their female counterparts may live around 45 to 55 years. 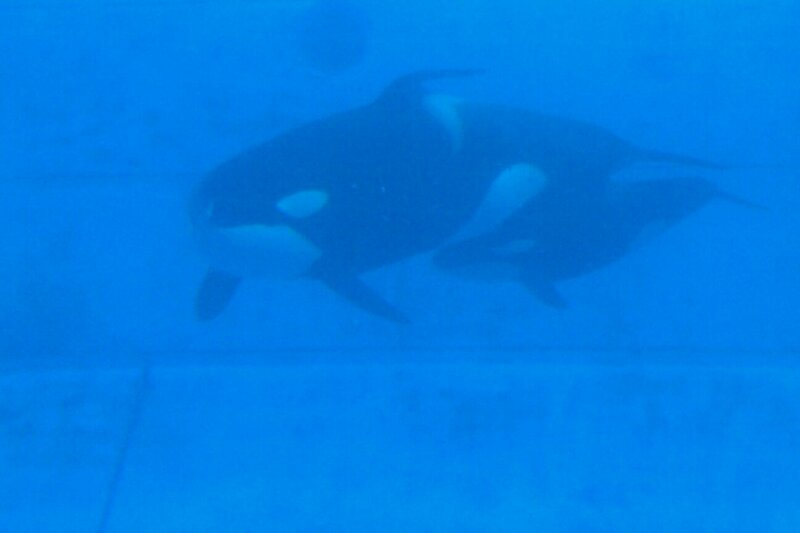 This is likely due to the child rearing roles females play in orca society. 6. 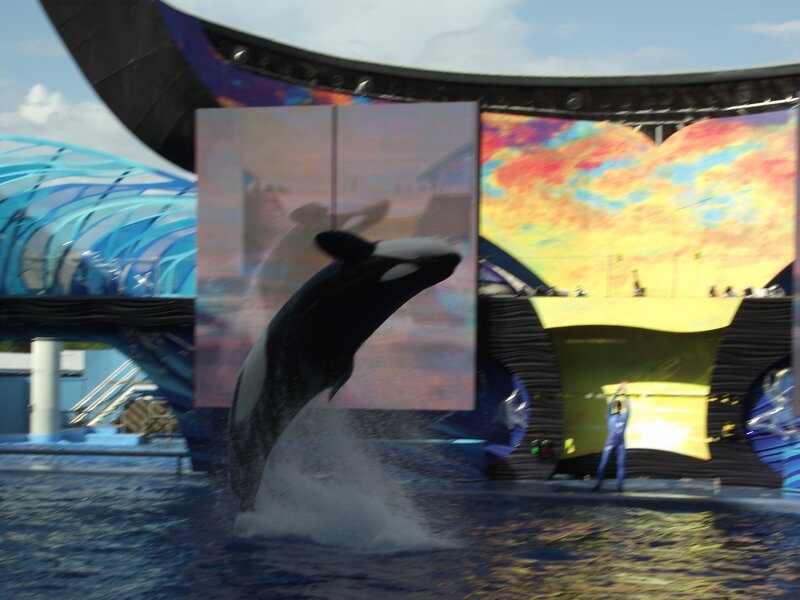 Why do orcas perform the various surface behaviors that can normally be seen at SeaWorld killer whale shows? While some researchers believe that certain surface behaviors may be some sort of sign that they might be communicating with other animals, some believe that it could be a display of playfulness, aggression mating call, or a navigational purpose. These behaviors may include, breaching, sharking, pec slap, and spy hopping. However, the full purpose behind the behaviors are not fully understood. 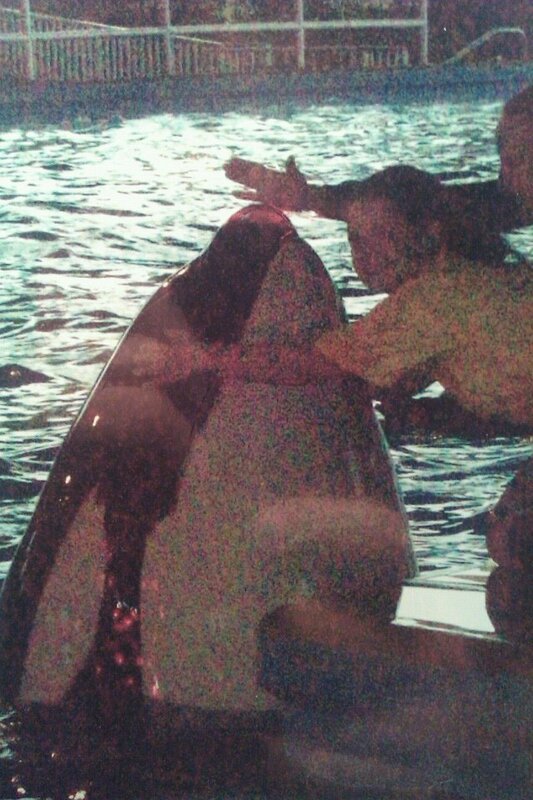 If you have any more questions regarding orcas, feel free to email me at Animaltrainer104@aol.com and have a great evening everyone.